We are a responsive learning community motivated to ensure every student’s success. Our vision is to be an inclusive learning community where everyone has the opportunity to learn, achieve their full potential, and be empowered to pursue their aspirations. operating with fiscal responsibility while focusing on learning is our collective obligation. innovation, thoughtful risk taking, and positive change – We are thoughtfully innovative and constantly working to make positive change. diversity – We accept, respect, and celebrate the diversity of person, thought, and values found within our communities. equity in opportunities – Every person has the opportunity to engage meaningfully in their work and learning. Every student has the opportunity to: explore their passions, achieve their full potential, and pursue their aspirations. collaboration – Working, learning and achieving are collaborative endeavours. integrity – We work and learn ethically, fairly, honestly, and with strong moral principles. relationships – Meaningful connections between people, and between people and the “place” we live, work and play, are imperative. leadership – We support strong collaborative leadership with moral courage focused on student learning and success. success – Achievement is defined differently and attained individually for each person. safe, caring working and learning environments – Learning is optimized when people feel safe and cared about, when the learning is relevant and engaging, and when personal interests and curiosities are nurtured. The Board of Education of School District No. 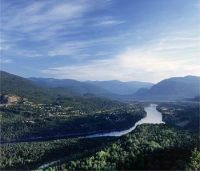 20 (Kootenay-Columbia) recognizes that it exists as an entity of the Government of British Columbia, directly linked to the Ministry of Education. As such, it operates under the legislation, regulations, and expectations of the BC Provincial Government, the Ministry of Education, and their mandates for public education.